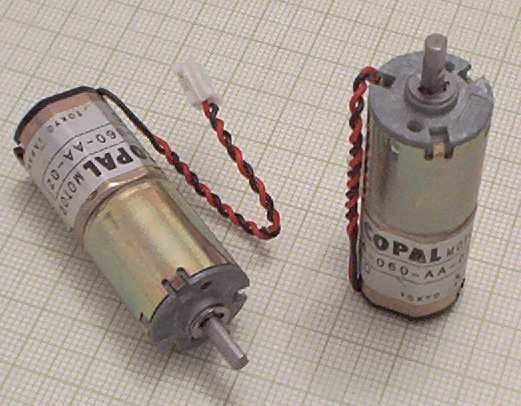 Copal makes this interesting little DC gearmotor -- model number HG16-060-AA-02, HG16 is the series name, 060 is the gear ratio (1/60), and AA denotes the motor's voltage rating (6V DC). It draws a fair amount of current at higher voltages, but by the time angular rate is taken into account, is a very efficient little motor (particularly at low voltages). The Copal web site has a data sheet on the motor here. This page presents all the data from my testing of a single example of the Copal gear motor available from Andy Pang. The test procedure I used is described elsewhere.